This is a hands-on look at the all new Jaeger-LeCoultre Master Ultra-Thin Perpetual Calendar. 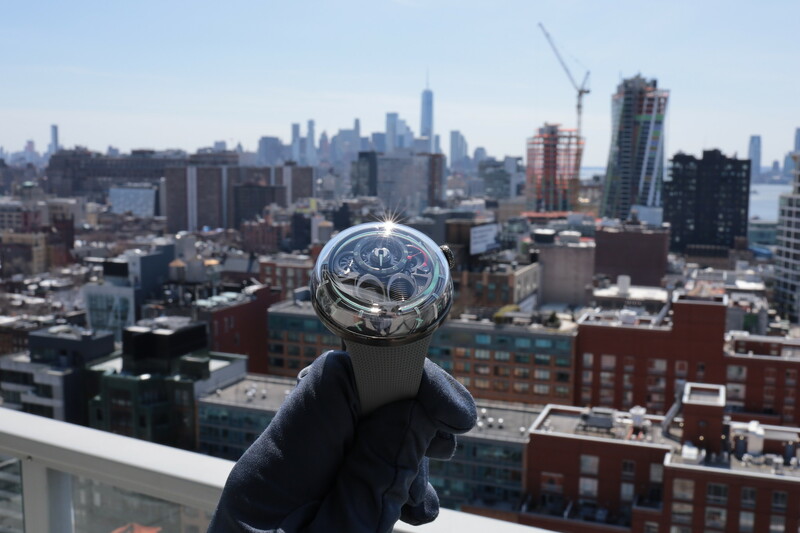 Launched last week at the brand’s new Las Vegas boutique, the collection comes in three variations, including a steel model that will be boutique only and retails for a price that I think you will agree, is quite fair for a perpetual — especially one this thin. The Master Ultra-Thin Perpetual is presented in a svelte 39 by 9.2 mm case, fully polished and available in steel, white gold or pink gold. 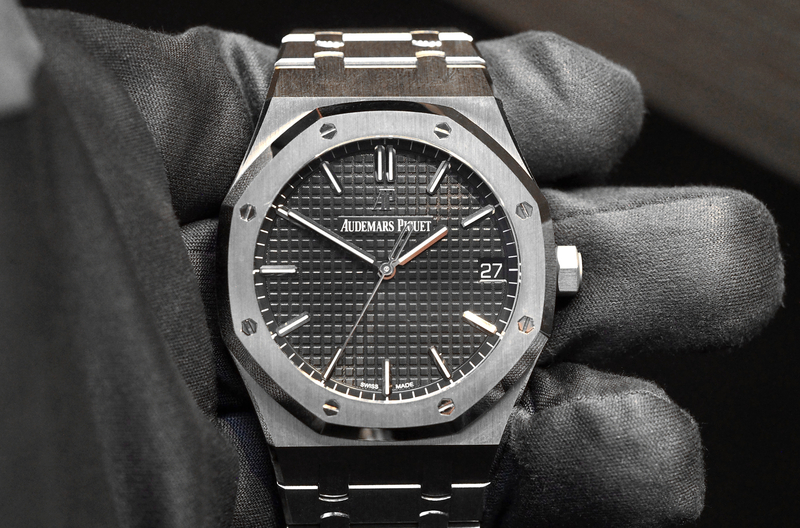 The white gold version: comes with a grained silver-toned dial with black nickel applied indices. The pink gold version: comes in an eggshell-white dial with 4N polished applied indices. The steel version comes with a sunburst silver-toned dial with polished rhodium applied indices. Inside, is an ultra-thin 4.72 mm thick self-winding movement, JL caliber 868 with a 38-hour power reserve, 336 parts, and 46 jewels. 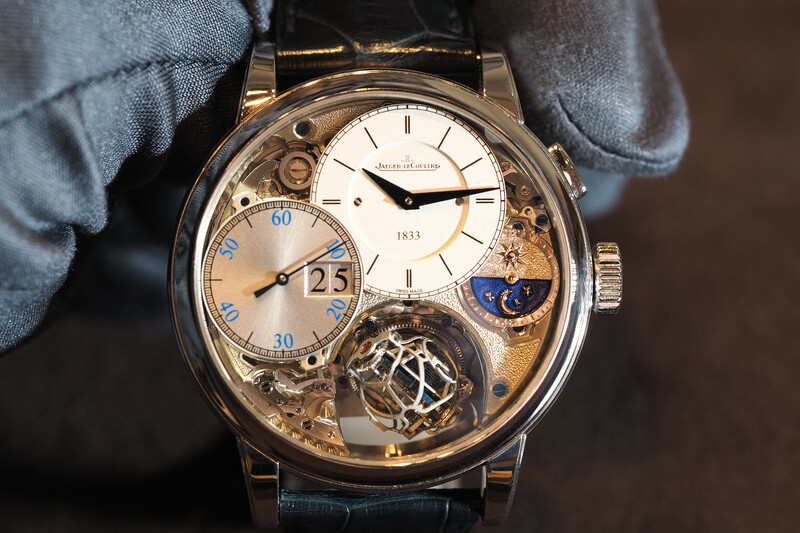 It is an in-house manufactured, and like all Jaeger-LeCoultre movements, it has been tested for 1,000 hours (41 days). According to US brand President Philippe Bonay, these rigorous tests, and numerous quality control checks during production, ensure that very few Jaeger-LeCoultre movements come back for repair. Dauphine-type hour and minute hands match the finish of the applied hour markers for each respective variation. Functions include hours, minutes, seconds, perpetual calendar: day (at 9 o’clock), month (at 6 o’clock), date (3 o’clock), year (in between 7 and 8 o’clock) and moon phases (12 o’clock). The perpetual calendar indications are adjusted via a single corrector at 8 o’clock. A security indicator is located in the center of the dial. The strap is in alligator leather with a pin buckle in the same material as the case. Water-resistant 50 meters. Ref. Q1303520 (white gold), Q1302520 (pink gold), Q130842J (steel version/boutique only). The Master Ultra Thin Perpetual is a sleek, dressy watch that is both attractive and wears well. The dial is laid out well and is especially easy to read. The movement is nicely decorated, including Geneva stripes, perlage, blued screws and a skeletonized signed oscillating weight with a rose gold mass — all viewable through a clear case back. Which one should you get? 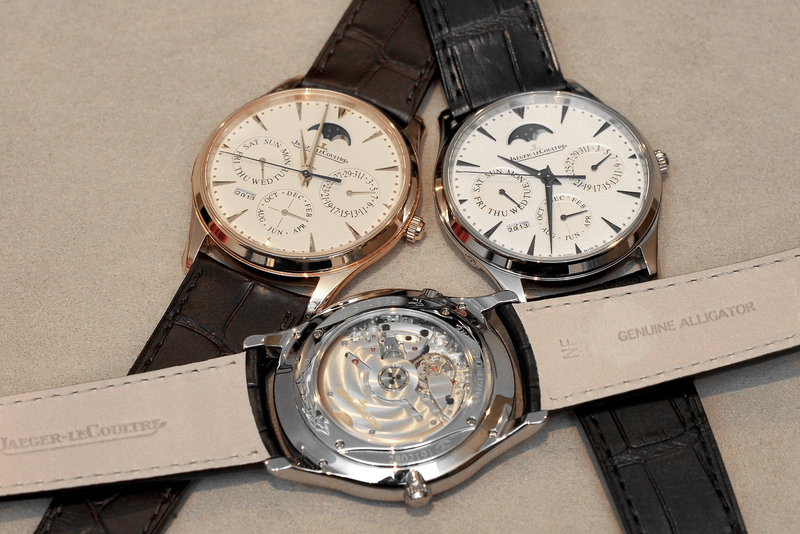 The rose gold case and egg-shell dial with matching indices and hands is more traditional and costs $31,600. The white gold case with its grained silver-toned dial and black nickel applied indexes is more contemporary and costs $34,700 (white gold costs more due to the more costly material it requires: platinum or palladium needed). The stainless steel version, with its matching indexes, hands, and sunburst silver dial costs $19,950. Overall, it is hard to go wrong with any one of these, something we don’t get to say too often. Next articleUlysse NardinPre-Baselworld: Ulysse Nardin "Stranger"